Vintage Motoring » Blog Archive » Fuel Tax Increases In California, Now Highest In U.S.
Fuel Tax Increases In California, Now Highest In U.S.
California’s gas prices were almost the highest in the nation –second only to New York– but that didn’t stop state legislators from voting to take that notorious title from NY by increasing its excise tax on gasoline by 3.5 cents per gallon. 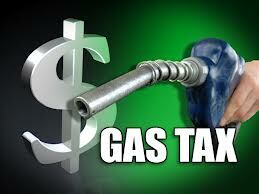 The increase raises the excise tax from 36 cents per gallon to 39.5 cents per gal. and that brings the total combined federal, state and local gasoline tax for Californians to 70.6 cents per gallon. According to an AP report the increase was necessitated due to a $157 million shortfall in gas-tax revenue in fiscal 2012, and, a projection of less fuel consumption by California drivers. So whether they’re conserving their budgets or conserving fuel to save the environment, the penalty California’s government imposes for the privilege of driving will be harsher there than in any other U.S. state. Is that really the step California wants to take when states like Arizona and Texas welcome the exodus of families and small businesses looking for relief from excessive regulations and taxation? In hindsight, it appears that the state legislature may have made a mistake. It switched its gas taxation system in 2010 so it could re-appropriate some of the gas tax money from road maintenance to other areas. At that time the legislature reduced the sales tax from 8.25 percent to 2.25 percent but roughly doubled the excise tax to 35.3 cents per gallon. The excise tax there has increased multiple times since, AP reports, but previous hikes were by fractions of a cent. California’s state average price for gas reached $4.22 per gallon last week and that’s well below the all-time peak that occurred last October at $4.67 per gallon due to multiple refinery problems and concurrent price spikes. For the Californian who drives 15,000 miles annually in a vehicle getting 20 mpg, the increase means he or she will pay an extra $26.25 per year in gas taxes. That’s in addition to the $478 per year in combined taxes they already pay.